Nine years ago, I felt like the carpet was yanked out from under my feet. By my husband, nonetheless. He didn’t have an affair. He didn’t take us into financial ruin. He didn’t commit a crime. He didn’t say mean, ugly things. He told me God was calling him to be a pastor. I know I sound like an awful person. 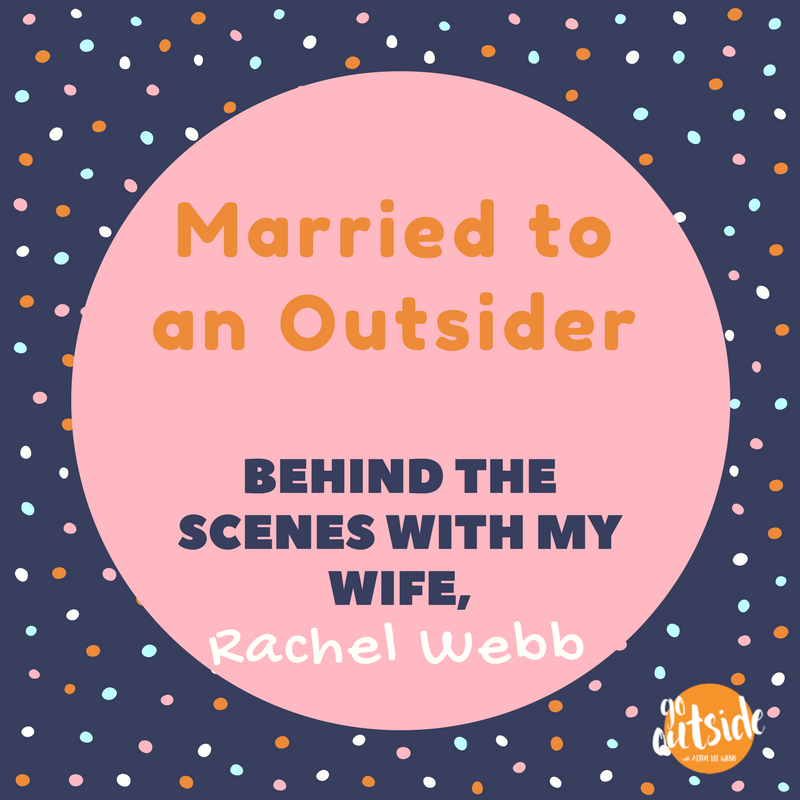 But anyone who’s ever been married to an Outsider knows that sometimes their big ideas can feel like lightning bolts. When Lee woke me up at the crack of dawn to read Hebrews 13:11-15 many years ago, I was confused. The author of Hebrews urges us to join Jesus outside the city gates–a place that was dirty and bloody and disgraceful. My first reaction? Uh, no thank you, Jesus. I rolled back over and went to sleep. I had no idea that in the years that followed, our family would build our life around those verses. It’s understandable that we don’t want to leave our comfort zone, but when someone we love is being drawn outside the gates, we find ourselves facing a decision. How will we respond? Listen (even when you really want to talk). I remember the first time Lee came to me and said he thought God might be calling him to be a pastor. I think my exact response was, “But how? He’s not calling me to be a pastor’s wife.” I was very confused about why my husband, who owned a thriving commercial real estate business and had never been to seminary, thought he needed to go into ministry. In my mind, our life was on the perfect path. We had a healthy baby boy, a new ranch home in our dream neighborhood, and membership at a church we loved. Despite my initial opposition, I decided to stop talking and hear him out. That conversation ended up being one of the most important moments of connection in our 12 years of marriage. Sometimes our spouses come to us with notions that seem brilliant or exciting. It’s easy to hear them out when that happens. But if your spouse is taking steps Outside, they will undoubtedly have some ideas that seem absurd or risky by your standards and logic. This is when you may literally have to put your fingers around your mouth and hold your lips shut. I am serious. Here’s why: If we do not create a safe place for them to share their thoughts, they may stop sharing with us altogether. And when we stop sharing our crazy ideas, we lose depth in our marriage. Be honest. It’s going to sound like I’m contradicting myself. I know I said to listen, but there is definitely a time to talk as well. When someone we love steps out and takes a risk, we want to be their number one fan. We shower them with praise and adoration. But one of the best ways we can support them is by being truthful. There have been times when Lee has approached me with an idea, and I have flat out told him I thought it was not the best (after hearing him out, of course 😉 ). And he has done the same for me. We depend on each other for thoughtful and honest feedback. Agree on finances. Several times a year, Lee and I sit down to talk money. We look at our income and expenses and plan ways we can spend, save, and give in the following months. Those conversations are not always fun. Sometimes I would rather pull out a toenail! But I can guarantee that those discussions over time have saved us from major division in our marriage. Going Outside can be lucrative at times, but it can also prove costly. It can mean increased expenses or decreased income – or both! There is certainly no one-size-fits-all way for couples to handle their money. Some of our married friends create monthly budgets and spreadsheets to keep their dollars in order. I have one friend who made an agreement with her husband that they would consult each other before they made a purchase over a certain amount, while another friend says they keep their earnings totally separate to maintain financial autonomy. I can tell you about 50 other arrangements that work well for different couples we know. The important thing is that you have regular conversations about money along the way. Because if you can agree on your approach to finances, you will knock one huge potential source of conflict out of your relationship. Make time for your stuff, too. Just because your husband or wife is pursuing their vision doesn’t mean your passions should wither up and die. Our entire family was 100% invested when Lee wrote his first book last year. We traveled to Texas to meet with his editors, designed a website, coordinated speaking engagements, and hosted a launch party with a team of friends and family. I was plenty busy. But about halfway through the summer, I set aside time to start a podcast with my fellow momma friend, Megan. Why? I have a passion for connecting women around our shared experiences. That interest didn’t go away because I was supporting Lee. Quite the contrary! If you find yourself feeling overshadowed or burned out by your partner’s fervor, it may be time for you to rediscover the things that bring a sense of purpose and fulfillment into your own life. You don’t have to be a pastor or a missionary in India to live a meaningful life – God is in the business of using very ordinary lives. I Peter 4:10 tells us that when we come into a relationship with Christ, each of us are given a gift. So a great place to start may be figuring out what your gifts and talents are and asking God to show you how to use them. It could mean taking up a new hobby or volunteering once a week. Or it could start you on a completely new direction personally and professionally. Find your village. I always wanted to be a mom. It took us some time to get pregnant, so when we welcomed our first baby, I was sure that I would be the most grateful mommy on the planet. But you know what? Motherhood is not always sunshine and unicorn kisses. When our oldest was a toddler, I decided to start hosting open-invitation playdates at our house so I had some adult conversation to look forward to once a week. That little group grew from two or three friends to over 20 families in a matter of months! I discovered some important truths during that time. First–other moms felt lonely too. I had tricked myself into thinking that everyone else was coasting along in this mommy gig. Second–each and every one of us were created to desire connection. Not just moms. Countless wives I know say their number one concern for their husband is that they don’t have close friends. Men need a village just as much as women do. So where do we start? Little ways. Put our phones down. Meet for coffee. Strike up a conversation with our neighbor. Help someone move. Ask that extra question. Over time, those everyday moments lead us to the people who were meant to be part of our lives. Side note: Maybe you have experienced rejection or betrayal in previous friendships (most of us have). Don’t let that keep you from starting new relationships. Sometimes putting yourself back out there is the surest way to heal an old wound. Join in. Don’t be a party pooper. Maybe your partner’s adventure doesn’t seem that fun to you. Maybe you see what they are doing as something separate from your relationship. Or maybe you’re just not sure where you fit in the big picture. That’s okay. You can still take it upon yourself to find a way to join your wife or husband in the action. That may mean you attend events, you help with logistics, you brainstorm together… Whatever contribution you make sends a direct message to them: What’s important to you is important to me. Make your marriage your top priority. Sometimes when we are busy doing the lofty things of life, we shortchange the people we love most, because lofty stuff can zap our energy and attention. When I am grumpy, I am impatient with my kids. When I am exhausted, Lee gets the leftovers of my day. When I am frustrated, my family feels the tension. Date nights fall off the calendar. Words of encouragement are few and far between. Prayers are relegated to a quick, “Bless this food.” Irritation and weariness saturate the kitchen and living room and hallways. So how in the world do we get out of this funk? We have to make a conscious decision to make our marriage our top priority.